Basic education is the next stage for students who have completed EAP as it lays the foundation for establishing expertise in a wide range of academic fields. There is only one education at AlU-International Liberal Arts Education-which will guide you from your first days in EAP to the moment of graduation, or actually, we hope, through all your future life. Basic Education （BE） is just a name for a stage of your study. It simply means that you have completed EAP, so you are ready for the academic adventures in the wide range of courses offered at AIU. At this stage, you have to acquire as wide as possible a perspective on the globalized world and you will learn multiple intellectual tools for this purpose. Later, in the stage called Advanced Education, you will focus on some particular topic to hone your skills and knowledge acquired earlier. But do not limit yourself in your study too early. If you feel that your preparation in some subject is weak, your time of study in BE is the best time to make it up. Make sure that, through continuing effort and study, there are no disciplines or topics which could intimidate you. But the most important thing is to learn that learning is fun. There is no better source of satisfaction than removing obstacles on the way to understanding and in solving problems. I wish you a lot of fun in BE. 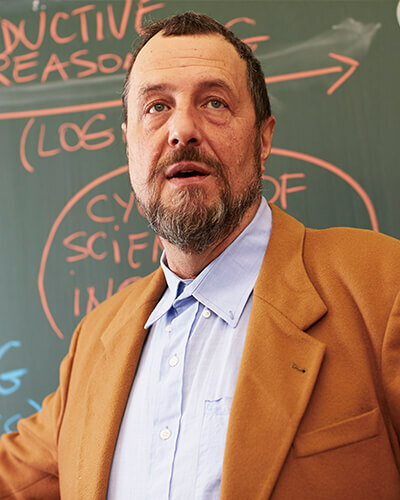 Basic education modules include a wide range of academic disciplines such as Arts and Humanities, Social Science, Mathematics, Natural Sciences, Interdisciplinary Research, Languages in the World and Linguistics, and Health and Physical Education. By broadly learning the basics of academic knowledge from these disciplines, students deepen knowledge, culturally develop, broaden their horizons, and build their own intellectual foundations. At the same time, they also develop their abilities to observe and verify matters from a multifaceted perspective and think logically. Building this intellectual foundation is extremely important in developing a rich personality capable of responding flexibly under any circumstance of the rapidly changing local and international communities in the modern era. We offer a wide range of academic disciplines and modules in basic education to provide students with opportunity to discover the fields they want to study further. Choosing subjects according to your interests and desire to learn while deepening the underlying knowledge and culture leads to discovery of the disciplines you want to learn more professionally in the future. We have the Global Business Course and Global Studies Course as part of our professional liberal arts education, and students learn the subjects of basic education while considering which course to choose. At AIU, we encourage students to learn another language in addition to their native languages and English as a lingua franca. Basic education includes Chinese, Korean, Russian, French and Spanish, which are taught in English or in their respective language. 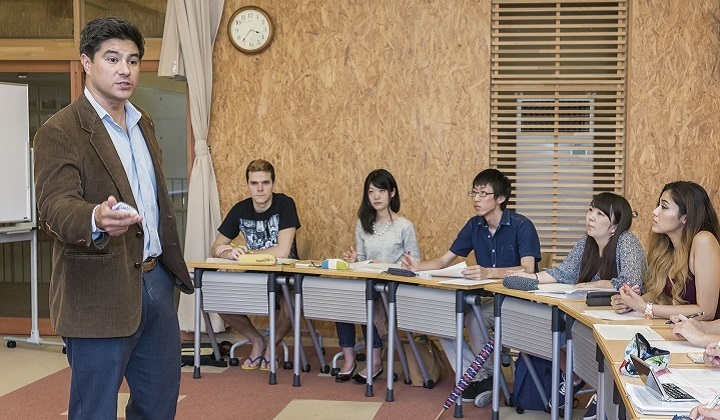 In addition, while students study international affairs in English, we also offer a field of Japanese Studies, which include subjects related to Japanese culture, politics, economics, business, foreign policy, and language to enhance their awareness of their identity as Japanese citizens.